The U.S. conglomerate pledged new jobs and an asset swap to improve its $16 bln offer for Alstom’s power units. France seems to be warming to a bid already backed by the board. Rival bidder Siemens looks increasingly like a stalking horse, used merely to wring more out of GE. The French government had previously been heavily critical of the U.S. conglomerate’s 11.4 billion euro ($15.5 billion) bid for Alstom’s power divisions for fear of the impact on French jobs and industrial know-how. It had promoted instead a European tie-up with Germany’s Siemens and passed a decree earlier this month to give itself an effective veto on any deal. 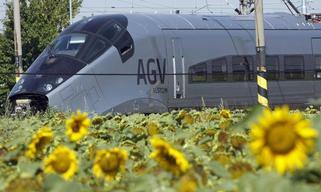 Shares in Alstom rose as much as 1.9 percent. The chairman of Siemens France said on May 27 the German group hoped to make a formal offer by June 16.